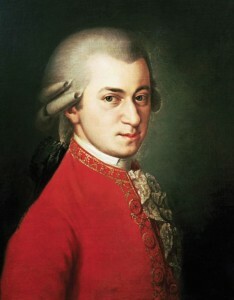 W. A. Mozart (1756-1791) Any place named after a virtuoso like Mozart gets my stamp of approval! …I was probably drinking coffee. Therefore, we have the theme for my first official blog of the 2011-2012 school year. It’s great to be back in this mode too! If you have read my blogs before, I profoundly apologize. If you haven’t, now you get a double shot from me as you read my thoughts about life and the Texas MPA Program. Mozart’s—especially after interning, I got into the glorious habit of studying outside. Whether it was on the roof of the SAC, at George’s Patio Café, or at Mozart’s. Mozart’s is great because it is conducive to both studying and socializing, something I can’t say for all coffee places. Nevertheless, I’m always in favor of being able to soak in the sight of Lake Austin, drink some hot coffee, and either chat or read. Bennu Coffee Shop—this is definitely in the hipster neighborhood, and they definitely have some hip coffee! In addition to having an entire menu named after literature, this place is open 24/7, which makes it a very convenient place to crash for a loooong time. Try the Raven or the Don Quixote! Oh, and yes, those are power strips coming out of the ceiling for your laptop!